Join the SDG2EVEREST team in March and April 2018 as we return to the highest mountain in the world, bringing Social Currency to an All Time High. A first in the World – Citizens of the Republic Of Conscience (ISR) and organizational allies (CSR) will pool their resources to fund the NGO’s and Social Enterprises on the ground fixing the 17 Global Goals of the United Nations, the SDG’s . Every virtual currency on Earth is welcome to apply for participation in the SOCIAL CREDIT INDEX as we establish the BLOCKCHAIN to EVEREST of popular cryptocurrencies vying to be useful for social good by NGO’s and Social Enterprises. You choose your favourite currency to donate, and who will directly receive your care. 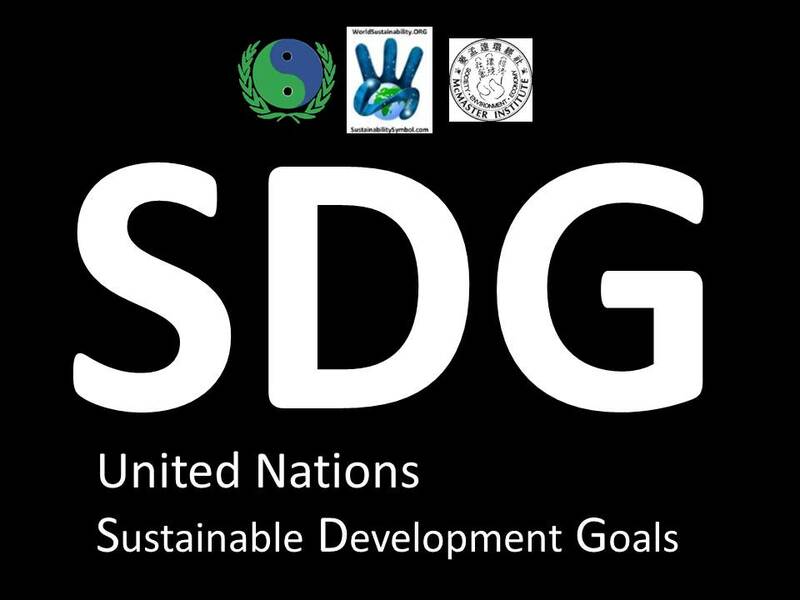 The most popular token and coin donations, with the most value in the index will win at the moment an SDG team member reaches the summit with the SDG Banner. However the whole world wins when we choose to share the wealth of crypto-44444oiodiversity to solve the 17 Sustainable Development Goals of the United Nations. 2017 Wrapup – SingularityNET – A-I-Panda, SustainaClaus and the Republic Of Conscience gets to the world stage. www.facebook.com/Sustainaclaus – videos about the HS2 Occupation in the U.K., SustainaClaus and elves establishing the Republic Of Conscience Pop-Up Embassy in London, “X-Mas” Celebration in Oxford Circus to “X” out mass consumption and SustainaClaus sleeping on the street in front of the Parliament buildings to help bring attention to homelessness. Philip McMaster has a lifetime of advocating for what most of the world is now waking up to realize. We must all grow up and take ISR (Individual Social Responsibility) for our actions at home, in public and at work. 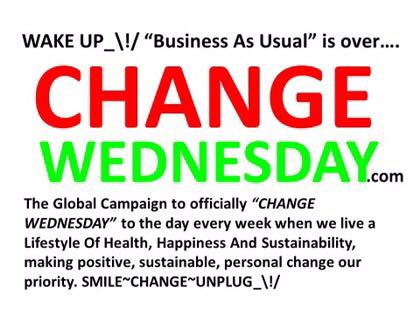 Advocating around the world, Philip wears many hats and adopts local cultures and characteristics to share the message of “CHANGE WEDNESDAY” as a way to achieve the Sustainable Development Goals (SDG). He’s not alone. Sustainable Celebrities have stepped up and supported the 3 Finger Sustainability Symbol and its meaning almost everywhere. In person or virtual character presence, Philip McMaster makes a rare combination of visuals and content that WOW audiences and create lasting change in the people of many cultures. Adopting the culturally-appropriate and respectful “Professor Planet” , “Spirit Of Bethune“, “3 Finger Freud“, “SustainaClaus“, and recently “Joha” at the the recent COP22 United Nations Climate Change meeting in Marrakech, Morocco. Philip’s approach is to harmonize, respect and enhance local norms and existing approaches to living a Lifestyle Of Health Happiness And Sustainability (LOHHAS). Along with Afripreneur, SustainaClaus and “Wednesday” the Low Carbon Panda, (who is now happily released from the endangered list) at the GREEN ZONE in Marrakech, Philip will discuss and promote HOW the BLOCKCHAIN saved The WORLD and how “CHANGE WEDNESDAY” – the mid-day of every week – can become the day when communities around the world consider “home grown” solutions to the “17 plus ONE” Sustainable Development Goals (SDG). Philip McMaster is a Canadian advocate of living a Lifestyle Of Health, Happiness And Sustainability (LOHHAS). With a diverse background in sports, adventure, creativity, business, research and academia, Philip is the co-founder of various social enterprises and efforts to make the world a better place. 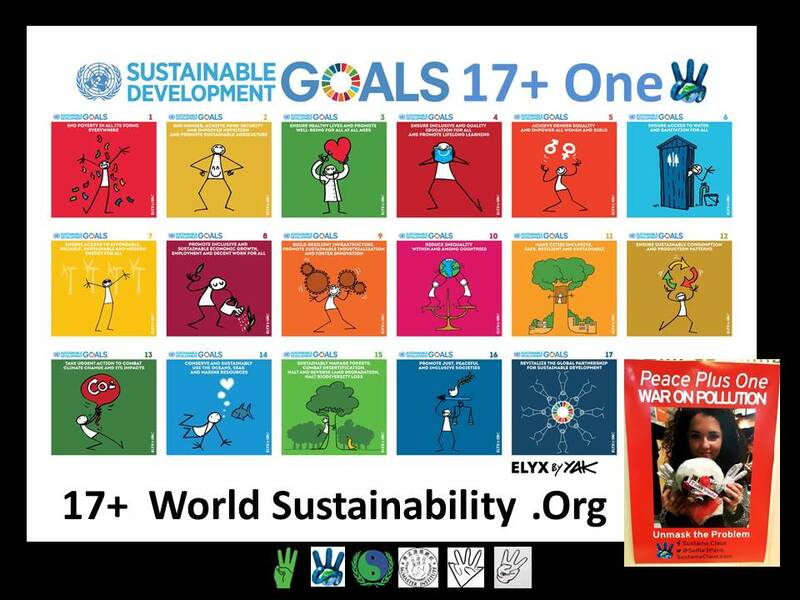 Philip McMaster initiated and relentlessly promotes the use of the 3 Finger “Peace Plus One” Sustainability Symbol as a visual identity of Individual Social Responsibility (ISR) and becoming “Part Of the Solution”, by balancing SOCIETY, ENVIRONMENT and ECONOMY in our lives. The 3 Finger Salute is also the coordinating and “reminding” gesture for 3 Finger Wednesday‘s – THE DAY each and every week when we make a special effort to SMILE, CHANGE and UNPLUG_\!/ making our lives, and the lives of those around us, better. Speakers Membership Certificate No. #: BITM20160721137 (Philip McMaster) BIT Conferences and Think Tank, China. 2.) With the Paris Agreement and Big Businesses’ shift from DENIAL to DAMAGE CONTROL – Everyone’s talking about CLIMATE CHANGE, SUSTAINABILITY and what we can do about it. Philip McMaster has been working with people from all over the world for years on BLOCKCHAIN related projects … the Republic Of Conscience is based on BLOCKCHAIN CONCEPTS and many of the World Sustainability Projects to achieve the 17plus.ONE United Nations Sustainable Development Goals will be made possible by BLOCKCHAIN innovations and transparency. 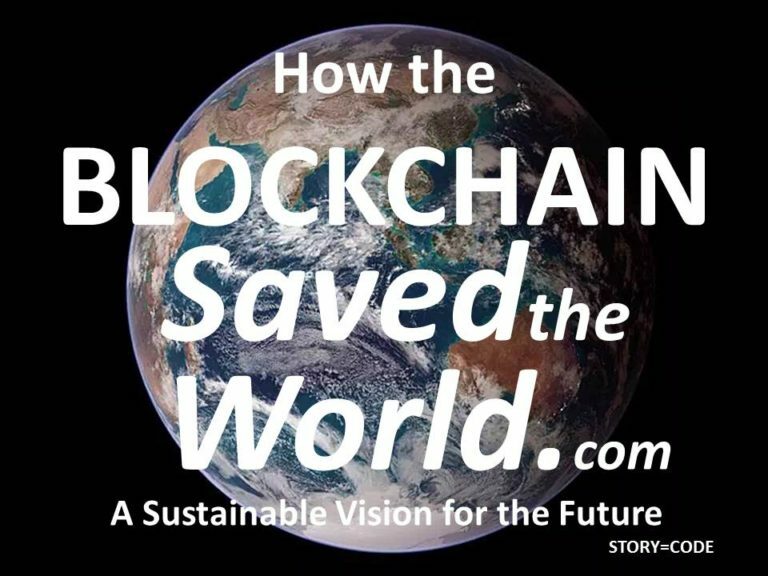 The BLOCKCHAIN is the basis for the Sustainability DAO and the LOHHAS DAO crowdsource funding platforms raising capital for the 3rd Sector of Social Enterprises, NGO’s, Charities and Not-For-Profits. Be Part Of the Solution and Support the Republic Of Conscience at the United Nations Climate Change Conference (COP22) in Marrakesh Morocco. The BLOCKCHAIN COLLABORATORS are sponsoring Philip McMaster, the 3rd Sector BLOCKCHAIN Ambassador to the United Nations Climate Change Conference to share the great initiative of the Republic Of Conscience and BLOCKCHAIN community. INTERNATIONAL PRESENTATION on CHANGE WEDNESDAY, November 16th 2016. 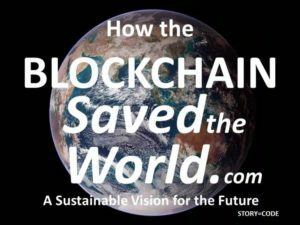 On CHANGE WEDNESDAY November 16th 2016, the Republic Of Conscience will make its presentation www.HOWtheBLOCKCHAINsavedTheWORLD.com and hold information sessions to “officially” launch the SDG Coin (SDG Token) in the U.N.’s Civil Society Green Zone. 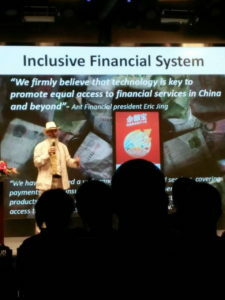 Formerly a university lecturer in Canada (HEC Montreal) and Hong Kong (CUHK), and foreign expert and sustainability researcher at the Chinese Academy of Sciences in Beijing China, Philip continues to speak and make presentations at conferences, conventions, governmental and non-governmental meetings in China and around the world. Mr. McMaster has numerous undergraduate degrees, certifications and diploma programs from Algonquin College department of Radio and Television Arts, Dawson College Institute of Photography, Concordia University Applied Human Sciences and a Masters Degree in Business Administration (MBA) from HEC Montreal. Accepting the speaking stage from an early age, Philip was chosen Valedictorian for his High School graduating class, President of the MBA Association of HEC Montreal and continues to communicate the highest ideals for our relationships with Society, the Environment and the Economy at world famous events like TEDx. Philip is known in China as “DaLong”, (Big Dragon) and has appeared in numerous advertisements, television shows, television mini-series, Docu-dramas and feature films. An uncommon look leads to unique modeling opportunities, most recently Esquire Magazine (June 2015 China Edition) in a 10 page photo essay about Father and Son. Philip’s life long effort is to bring attention to mindful, sustainable living, adapting cultural icons and memes toward meaningfulness in the modern context and for the greater good. A passionate observer of human behaviours and conditions in regard to sustainability, Philip is constantly adapting popular memes, re-creating, or simply creating memes and frameworks for a sustainable future. To Contact Philip McMaster, search on Linkedin, Facebook, WeChat, QQ, Twitter, and use your favourite search engine to find “3FingerW“, resulting in thousands of images, videos and articles about Philip McMaster’s lifetime of effort.